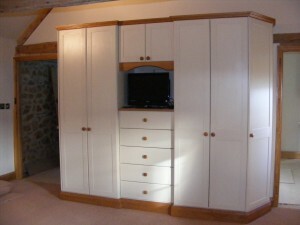 It’s the neat little details that G L Joinery include that make our bedrooms please our customers so much. 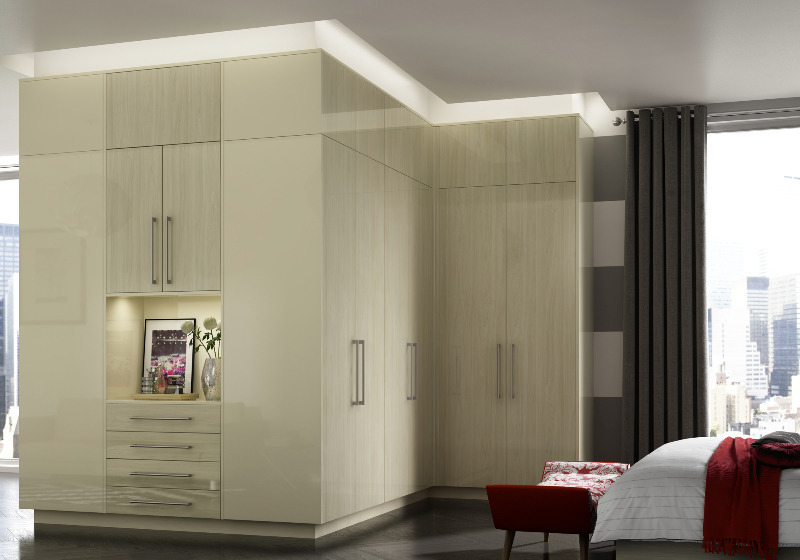 Personally designed fully fitted bedrooms of solid wood, wood veneer or vinyl wrap finishes will enhance the beauty and sense of luxury of your home whilst meeting your practical needs with various forms of bedside cabinets, dressing tables, chests of drawers and wardrobes. 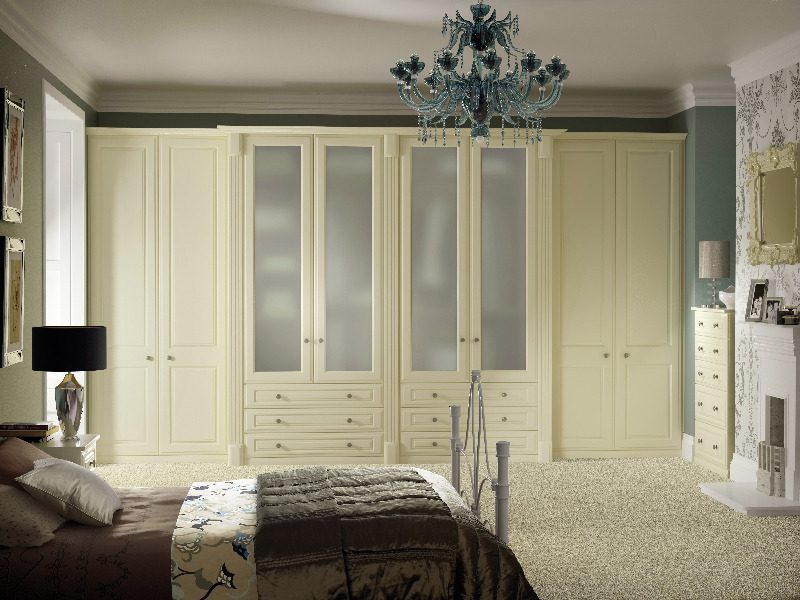 Wardrobes, for example, can be made to any form that meets your needs: Floor to ceiling, fitted to an alcove, around a chimney brest, under a sloping ceiling or sized to fit between a bed and other furniture. 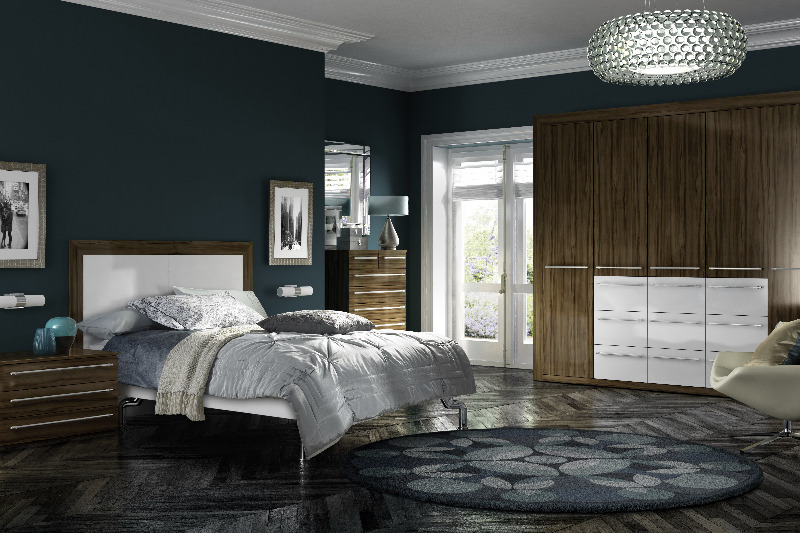 We can ensure that you are making the most of the space that you have, whilst leaving your bedroom with a sense of space. After visiting your home and learning what you require of your new bedroom, we will draw up detailed plans using our Computer Aided Design (CAD) system. We will then provide you with a black and white line drawing and a coloured impression of the bedroom proposal. 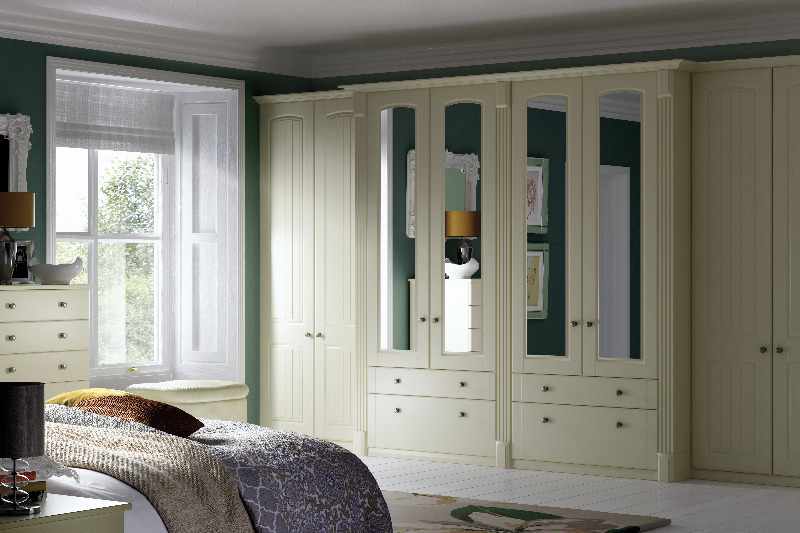 Very often we will prepare a couple of options, so that you can see the different possibilities for your bedroom. We will also give you a full breakdown of the cost. Once we have agreed upon a design that you are happy with, we will start on the work once you have paid a 20% deposit (note that a 5% discount is available for 50% deposits). Should you require any electrical work in the bedroom, we will arrange for a local electrician to discuss those features with you. Electrical work may be necessary for recessed lighting systems, built in TVs, etc. 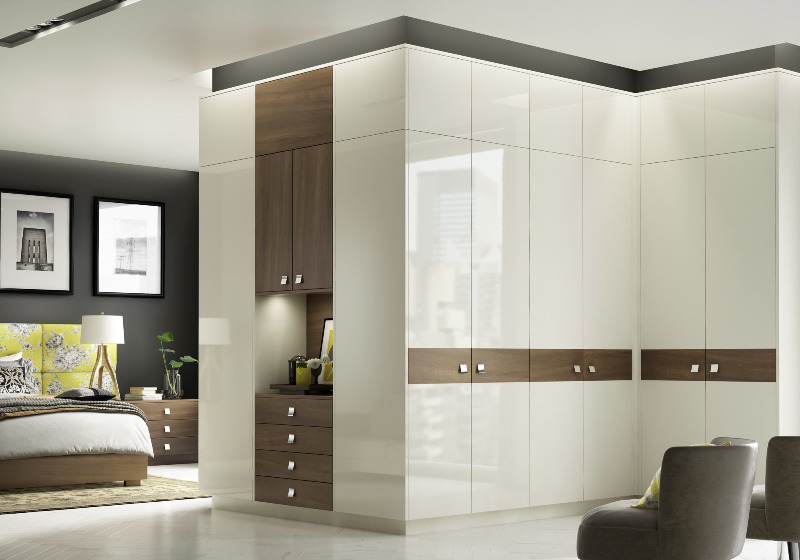 Your bedroom will be built in our workshops and then our experienced fitters will come to your home to install it in a prompt manner with minimal disruption, leaving your home neat and tidy with a fantastic new bedroom. G L Joinery and Kitchens | Powered by Mantra & WordPress.